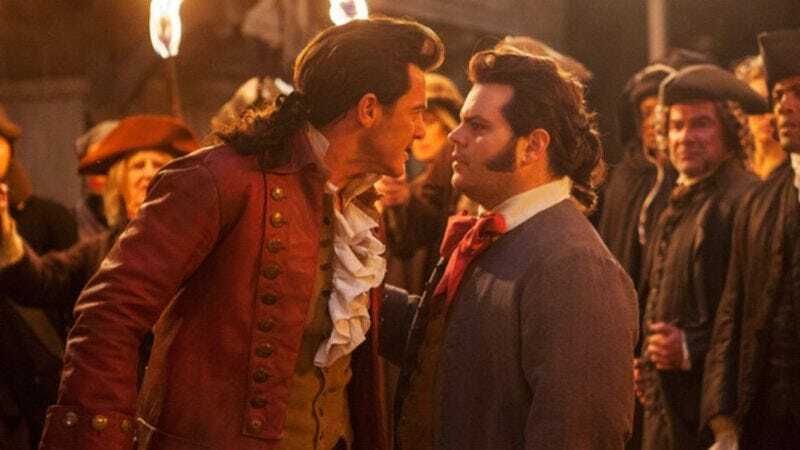 We recently reported that Russia was considering a ban on Disney’s live-action Beauty And The Beast movie due to it possibly being “gay propaganda,” with the issue stemming from the reveal that Josh Gad’s LeFou is depicted as gay in the film. Now, The Hollywood Reporter says that Russia’s culture ministry has decided not to ban the film outright, but it will be given a 16+ rating, meaning you have to be over 16 in order to see Beauty And The Beast in Russia. Rather than indicating that Russia’s outrageously homophobic laws are beginning to weaken, though, it seems more likely that this is due to the extremely minor role that LeFou’s sexuality actually plays in the film, with Vulture noting that it’s depicted for all of two seconds. Still, that’s two seconds that will prevent Russian kids from seeing a movie that is primarily targeted to kids, just because the country’s government is afraid of gay people.